The 2018 season is almost here with the Las Vegas Challenge set to start tomorrow. With that in mind, here are our 2018 Preseason Power Rankings. We used our rankings from the end of the 2017 season as a starting point and considered players’ performance in the handful of notable events between the start of the year and last weekend to generate our new lists. Our staff sifted through those results to sort everyone out. While most of the sport’s big names have largely steered clear of competitive play so far, a small handful have hit the course to get back into the swing of sanctioned play. Paige Pierce and Nikko Locastro stood atop the podium after their wins at the Samui Swine Classic in Thailand. Paul Ulibarri took down the first A-Tier of 2018 winning the Shelly Sharpe Memorial in his home state of Arizona. Jessica Weese and Lance Brown collected wins of their own against some tough competition at the Wintertime Open just last weekend. How did those performances, and a few others, shake up the power rankings heading into 2018? Don’t agree with what you see below? Don’t hesitate to let us know all about it in the comments. 1) Ricky Wysocki hasn’t played a competitive tournament round since winning the Buffalo Run A-Tier in early November. But no matter. He’s still the player everyone in the Open field is chasing after winning two PDGA Pro World Championships in a row and nearly every other tournament of consequence over the last two years. He’s squarely at the top for now. 2) Paul McBeth couldn’t quite bring home the win at the Wintertime Open (it would have been his eighth win at the event in as many years). But rest assured, he’s still in prime position to be hunting for the win at the LVC, and could easily find himself at the top of this list for the next update. 3) With a United States Disc Golf Championship win under his belt, Nate Sexton heads into 2018 having captured arguably the most coveted title in the sport, besides a world championship. But we’re confident he won’t let that go to his head. Expect plenty of appearances on lead cards all season from one of the most consistent players in the game. Now that he’s won his first PDGA Major, when’s he going get his first PDGA National Tour win? 4) While the German phenom hasn’t played any events since early November, Simon Lizotte remains an immense talent who can win anywhere. He spent a significant portion of the offseason training in the Swiss Alps. We’re looking forward to seeing if that extra fitness translates into more wins to go with the jaw-dropping highlights he produces on a weekly basis. 5) James Conrad made quite the impression in 2017. Taking Jeremy Koling to a playoff early on at the Waco Annual Charity Open and emerging triumphant against McBeth later at the Idlewild Open proved not only that he belonged on lead cards at the biggest events, but that he could win under pressure. All that earned him our Men’s Breakout Player of the Year award. Whether or not he’ll take the next step to challenge McBeth and Wysocki for wins week in and week out is the next test. 6) Chris Dickerson has been cleaning up around the Southeast this winter, winning all five of the events he’s played since 2018 began. He’s another name everyone is waiting on to take the next step and win a high-profile event. Given the event’s he’s currently registered for, the first chance he’ll get isn’t until April at the Disc Golf Pro Tour’s Jonesboro Open. 7) Gregg Barsby was mere inches from a win at the European Open last summer, even after McBeth’s firey comeback. It would have been the first PDGA Major win of his career. He’s been close before that, he has one NT win (at the Masters Cup, in 2009), and it seems like he’s always bouncing around between 5th and 15th on our power rankings. We’ll see if this is the year Barsby finally breaks through to grab another signature win. 8) Nate Doss got his first A-Tier win or better in years at the Green Mountain Championship last year. He can put together similar performances at any time when his putting is on and he’s accurate with his approach shots. Doss is as close as anyone to a lock for top 10 finishes at any big event he decides to play outside of Wysocki and McBeth. Expect that not to change in 2018. 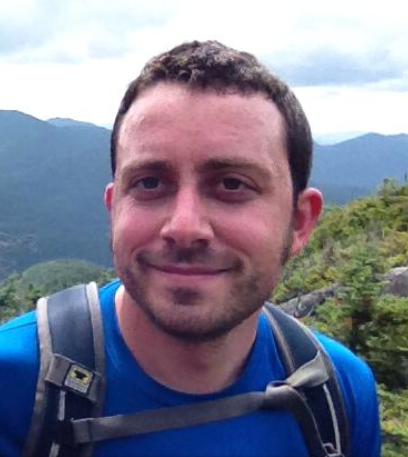 9) Paul Ulibarri has picked up a few early season wins and quality finishes to start the year. He had an uneven start to 2017 but found his stride late in the year. He’s said he won’t be touring as much in 2018 so it remains to be seen if that strategy will pay off with a big win. 10) Jeremy Koling hit the beaches in Thailand for an early season disc golf vacation, finishing in a tie for third at the Samui Swine Classic. We’ll see if his jaunt to Southeast Asia pays dividends in Vegas where he made the final round lead card in 2017. 11) Eagle McMahon had his struggles in 2017 but was never hesitant about acknowledging them. He finished third at last weekend’s Wintertime Open despite leading through the first two rounds of the event. He has heaps of talent, he just needs to put it all together with a strong mental game and smart golf down the stretch to get that first big win everyone knows he’s capable of earning. 12) Michael Johansen is known to eschew more open courses and instead favors more wooded environments. That means he rarely makes the treck out to the Southwest for the season’s opening events. But we’re sure we’ll see him popping back up in high places on this list once the tours head back east and to more treed courses. 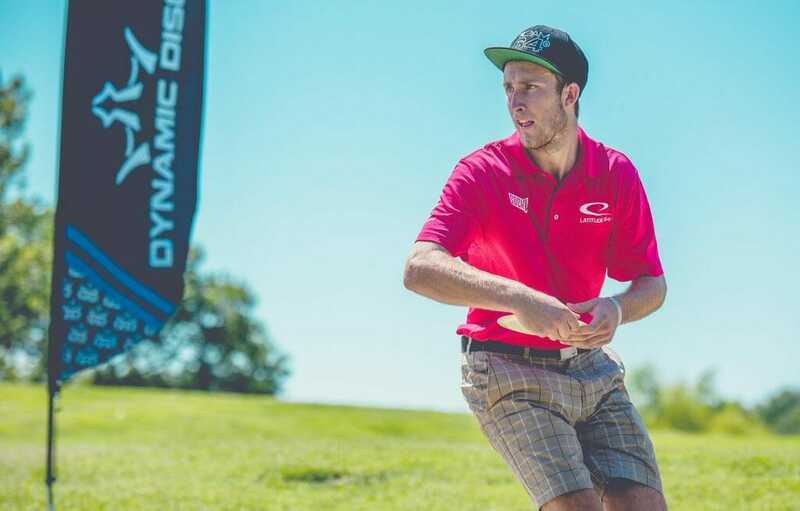 13) Austin Turner made a big splash last year, his first season touring full-time, finishing fourth in the PDGA National Tour Series points standings. It feels like just a matter of time before he collects his first big win. 14) Expect Devan Owens and Austin Turner to be battling it out for the title of ‘best lefty on tour’ all year. The Oklahoma-based pro is known to show up and place well at the sport’s biggest events. He finished 5th at Pro Worlds last year. 15) There aren’t many pros who can claim 100 wins to their name, let along 100 wins in the Open field. Cale Leiviska joined that club with his win last weekend. He hasn’t finished outside the top 10 at any event he’s played since May 2016. Don’t be surprised to see him rise up our Power Rankings soon. 16) Josh Anthon had an up-and-down 2017 in his first year back on the scene. He took a huge win at the Ledgestone Insurance Open but struggled at times in other high-profile events. His fourth-place finish at the Wintertime Open last week bodes well as the season starts. 17) Lance Brown collected the biggest win of his career. His first A-Tier win at the Wintertime Open broke McBeth’s streak of seven consecutive wins at the event. Now we’ll see if the young North Carolina native can take that momentum to Las Vegas. 18) Philo Brathwaite had a rough start out of the gates in last weekend’s Wintertime Open. He’s won at the Wildhorse Golf Club courses before (in 2016), which gives him a chance to bounce back quickly to start the season. 19) Nikko Locastro got the early win in Thailand. He finished last season on a cold streak but started off the year with a 13th place finish at the opener in Las Vegas. 20) Kevin Jones made a big splash at the end of 2017 and has already racked up a few wins early on this year. At the Wintertime Open, he had a below average start but finished with the single best-combined score through rounds two and three. He still needs to find some consistency but it’s pretty clear his ceiling is high. 1) Paige Pierce seemingly picked up 2018 right where she left off last season: tossing 1000+ rated rounds and winning tournaments. Her first round in Thailand was rated 1021 and she ran away with the win from there. Given her success in 2017, it seems like the sky is the limit this year. 2) Catrina Allen hasn’t played any events yet in 2018 but remains as strong a challenger as anyone to Pierce at the top of the women’s field. If she recaptures the mental game that propelled her to some late-season wins in 2017 she will be a formidable threat. She should be plenty rested after her offseason vacation through Europe. 3) Sarah Hokom only finished outside the top 5 in three of the 25 events she played in 2017. More often than not she found herself runner-up to Pierce all year. While she has yet to compete this year, her dependable performances keep her in the upper tier of players in the division. 4) Jessica Weese jumped up four places from where she finished 2017 on this list, thanks in part to her playoff win in the Wintertime Open. She had a solid comeback season last year after missing almost all of 2016 with an injury and needs to find a bit more consistency to challenge for wins on a weekly basis in 2018. 5) Consistency, especially around the green, is what propelled Lisa Fajkus into the spotlight repeatedly throughout 2017 and earned her our Women’s Breakout Player of the Year award. This season she will need to enhance other elements of her game — like distance off the tee — to get to the next level and challenge for wins and consistent top-five finishes. 6) Elaine King got her first win of 2018 at least weekend’s Hilton Head Invitational. She’ll be defending her 2017 Throw Down The Mountain win against a competitive field in just a few weeks, while the next event outside of the Carolina’s that she’s currently registered for is the Glass Blown Open. 7) Valarie Jenkins finished 6th at her last event in 2017, the U.S. Women’s Disc Golf Championship, and elected to skip the NT finale, the Hall of Fame Classic and DGPT Championship. That’s bumped her down a bit in our rankings, but we’re confident she’ll be on her way back up quickly. 8) Melody Waibel got off to a slow start in 2017 and her finish at her first event of this season, the Wintertime Open, indicates it might take a few more events before she hits her stride. She finished last year strong and has the potential to challenge for top-five finishes when she’s on her game. 9) Rebecca Cox hit the road full time, for the first time, last year. The tour life was a fit for the Cincinnati native because she’s back again in 2018, going full time and now with a new sponsor. 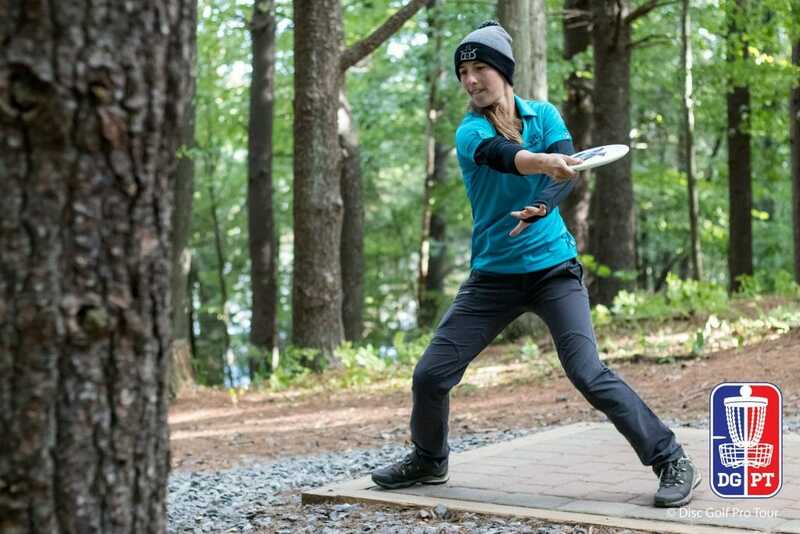 She moved from Discraft to Latitude 64 during the offseason. Comments on "Ultiworld Disc Golf Power Rankings: Preseason 2018 [February 21, 2018]"